During the late 2nd millennium B.C. in the Bronze Age, a special type of defensive structure known as nuraghi (for which no parallel exists anywhere else in the world) developed on the island of Sardinia. The complex consists of circular defensive towers in the form of truncated cones built of dressed stone, with corbel-vaulted internal chambers. The complex at Barumini, which was extended and reinforced in the first half of the 1st millennium under Carthaginian pressure, is the finest and most complete example of this remarkable form of prehistoric architecture. Au cours du IIe millénaire av. J.-C., à l'âge du bronze, un type de construction défensive connue sous le nom de nuraghi , unique en son genre, se développe en Sardaigne. L'ensemble consiste en tours défensives circulaires en forme de cônes tronqués construites en pierres de taille et dotées de salles intérieures voûtées en encorbellement. L'ensemble de Barumini, qui a été étendu et renforcé au cours de la première moitié du Ie r millénaire sous la pression des Carthaginois, est l'exemple le plus beau et le plus complet de cette remarquable forme d'architecture préhistorique. خلال الألفية الثانية ق.م.، في العصر البرونزي، نشأ في سردينيا نمط بناء دفاعي فريد من نوعه باسم نوراغي. وتتكون هذه المجموعة من أبراج دفاعية دائرية بشكل مخاريط مبتورة مبنية من حجر مقصوب ومجهّزة بقاعات داخلية مقبّبة بخَرجة. وتشكل مجموعة باروميني التي وُسِّعت وعُزِّزت خلال النصف الأول من الألفية الأولى بضغط من القرطاجيين، المثال الأكثر جمالاً وكمالاً على هذا الشكل الرائع من الهندسة المعمارية لحقبة ما قبل التاريخ. В конце 2-го тысячелетия до н.э., во времена бронзового века, на острове Сардиния были созданы укрепления особого типа, известные как nuraghi (нуракси), подобных которым не существует нигде в мире. Комплекс состоит из круглых оборонительных башен в форме усеченных конусов, выполненных из шлифованного камня, со сводчатыми внутренними помещениями. Комплекс в Барумини, расширенный и усиленный в первой половине 1-го тысячелетия в связи с давлением Карфагена, является прекрасным и наиболее полным примером этой замечательной формы доисторической архитектуры. A finales del segundo milenio a.C., en la Edad de Bronce, se creó en la isla de Cerdeña un tipo de estructura defensiva llamada nuraghi, sin parangón en el mundo. Los nuraghi son torres circulares, en forma de conos truncados, construidas con sillares y provistas de cámaras internas con bóvedas en saledizo. El ejemplo más bello y completo de esta notable construcción arquitectónica prehistórica lo ofrece el conjunto de Barumini, que fue ampliado y reforzado en la primera mitad del primer milenio a.C. ante la presión de los cartagineses. Tijdens het eind van het 2e millennium voor Christus, in de bronstijd, werd een speciaal type verdedigingsstructuur ontwikkeld op het eiland Sardinië, bekend onder de naam Nuraghi. Van dit systeem is nergens ter wereld een equivalent gevonden. Het complex bestaat uit ronde, defensieve torens in de vorm van afgeknotte kegels, gebouwd van uitgehouwen steen, met uitkragende, gewelfde interne erkerkamers. De verdedigingsstructuur op Barumini werd uitgebreid en versterkt in de eerste helft van het 1e millennium onder druk van de Carthaagse heersers. Het vormt het mooiste en meest complete voorbeeld van deze opmerkelijke vorm van prehistorische architectuur. The archaeological site of Su Nuraxi di Barumini in Sardinia is the best-known example of the unique form of Bronze Age defensive complexes known as nuraghi. The elevated position of Su Nuraxi dominates a vast and fertile plain to the west of the municipal district of Barumini. The site was occupied from the time of construction of nuraghe in the 2nd millennium BCE until 3rd century CE. Megalithic defensive structures known as nuraghi date from the Middle to Late Bronze Age (c. 1600-1200 BCE), and are unique to Sardinia. Nuraghi are characterised by circular defensive towers in the form of truncated cones built of dressed stone with corbel-vaulted internal chambers. Nuraghi are considered to have initially been built by single families or clans. As Sardinian society evolved in a more complex and hierarchical fashion, there was a tendency for the isolated towers to attract additional structures, for social and defensive reasons. The Su Nuraxi nuraghe consisted of a massive central tower of three chambers connected by a spiral staircase, originally over 18.5 metres high. The uppermost chamber is no longer standing. The central tower was enclosed within a quadrilobate structure consisting of four subsidiary towers linked by a massive stone curtain wall. The courtyard created by this wall was later sealed with a roof thereby restricting access to the central tower. Surrounding this are the remains of second outer wall and a settlement of circular huts. Su Nuraxi was abandoned in the 6th century BCE although intermittent occupation took place in subsequent centuries. New houses were constructed in a different form from their predecessors, consisting of several small rooms and constructed using small stones. Following the Roman conquest of Sardinia in the 2nd century BCE most nuraghi went out of use although excavations at Su Nuraxi indicate that people continued to live on the site until the 3rd century CE. Criterion (i): The archaeological site of Su Nuraxi di Barumini is the pre-eminent and most complete example of the remarkable prehistoric architecture known as nuraghi. Criterion (iii): The Su Nuraxi di Barumini bears exceptional testimony to the Bronze Age civilisation of Sardinia and evolution of the political and social conditions of this prehistoric island community over many centuries. Criterion (iv): The property of Su Nuraxi di Barumini is the outstanding example of a nuraghe, unique megalithic defensive structures and associated settlements illustrative of the imaginative and innovative use of the materials and techniques that took place in the prehistoric island society of Sardinia in the middle-late Bronze Age. The property of the archaeological site complex of Su Nuraxi includes all elements of the complex necessary to demonstrate that Outstanding Universal Value of the property. These elements include the archaeological remains of the central defensive structures and surrounding village and all prehistoric village structures, the original planimetric layout of which is clearly retained. Works for structural consolidation and conservative maintenance have been carried out in the area to improve the conditions of integrity of the archaeological structures. No works or modifications that may compromise the integrity of the site are foreseen. A threat to the property is the main provincial road running along the northern boundary. Even if the road has thin traffic flows and has no direct impact on the ancient remains, it interferes with the perception of the archaeological landscape. The context and setting could be enhanced through re-routing of the road away from the property, but at the moment this solution is difficult to be realized due to financial reasons. The property has a high level of authenticity. Although intermittently used until the 6th or 7th century CE, the nuragic structures appear to have been buried since then until archaeological excavations commenced in the 1950s. A systematic conservation campaign was undertaken in the early 1990s to stabilise and reinforce a number of structures. Subsequent restoration and consolidation works on the structures were undertaken in full compliance with the Restoration Charter, thus ensuring their conservation to the present day. Interventions involving the use of modern materials such as reinforced concrete, metal, and wood are minimal and unobtrusive, and do not impact adversely on either the authenticity or the appearance of the archaeological remains. The property of Su Nuraxi di Barumini is surrounded by a buffer zone on the north, south-western and eastern side. The lack of a buffer zone over the open farmland to the south and west of the property was not seen as adequate for protection of the property. To further strengthen protection of the property, an institutional agreement has been signed between the municipalities bordering on Barumini’s archaeological site and the Ministry of Cultural Heritage and Activities and Tourism, the Regional authorities and the Provincial Administration of Cagliari which will facilitate the identification of a larger buffer zone that includes the overall areas of the aforementioned municipalities and create new forms of protection of the landscape surrounding the property. As an archaeological site, Su Nuraxi complex is protected at the national level under Legislative Decree 42/2004, Code of Cultural and Landscape Heritage, a safeguarding measure that ensures activities on the site must be authorized by the relevant Superintendence (peripheral office of the Ministry for Cultural Heritage and Activities and Tourism). This framework of legal protection is considered sufficiently effective. On a regional level, the site has been included in a heritage list protected under the Regional Landscape Plan of Sardinia. A further procedure to protect also the surrounding territory has been undertaken by the Superintendence. The local municipal town-planning scheme has placed an absolute ban on any building construction in the buffer zone. This building restriction is further backed by means of a preventive band of protection, encircling the property ensures that no unsuitable development can occur within the environs of the World Heritage property. Management of the archaeological site is the responsibility of the Ministry for Cultural Heritage and Activities and Tourism. Site management is the subject of an agreement between the two entities primarily concerned, namely the Cultural Heritage Office and the Municipality of Barumini. 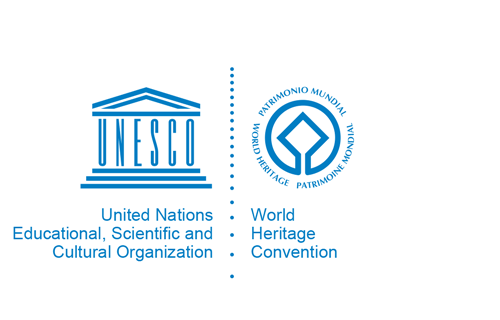 Under this agreement, the running of the property falls within the responsibility of the Municipality, which is then implemented under contract with a managing company (Fondazione Barumini Sistema Cultura), thus ensuring on-going, constant activity within the UNESCO World Heritage property. Superintendence for the Archaeological Heritage of Sardinia regularly checks the conservation of the integrity and authenticity of the property, also with three people serving regularly there. The Superintendence performs periodic maintenance although no formal monitoring program is in place. The Region of Sardinia and the Municipality of Barumini are the authorities responsible for the management of tourism at the property. High tourist numbers pose potential threats to the integrity and conservation of property. To minimize the impact of the tourists the visit of the archaeological site is permitted only in small groups with a tour leader and developing a cultural tourism strategy for the whole region. Local authorities are trying to rationalize the number of visits in high season, offering of incentives for tourists to visit in low season and developing a cultural tourism strategy for the whole region. Public transport connections to access the property are poor.